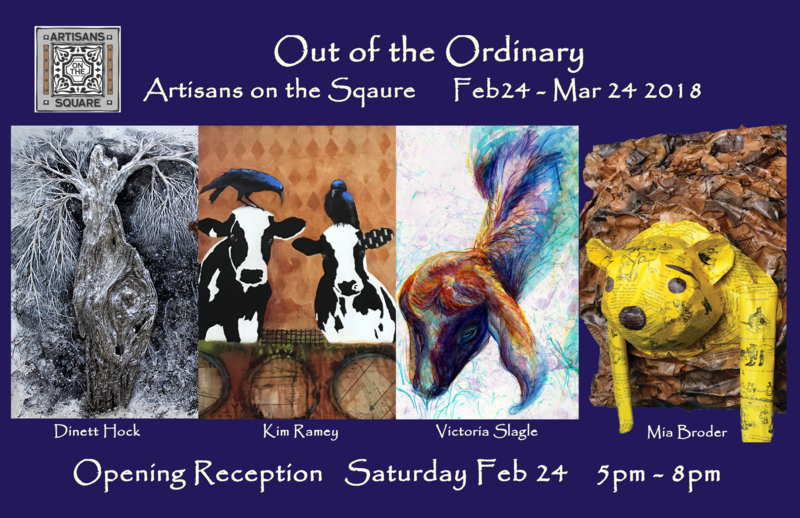 Four mixed media artists are exhibiting work at Artisans on the Square in downtown Greenville, GA. The exhibit opened Saturday, February 24 with a reception attended by guests from all over the region. The art will remain on display until Saturday March 24. 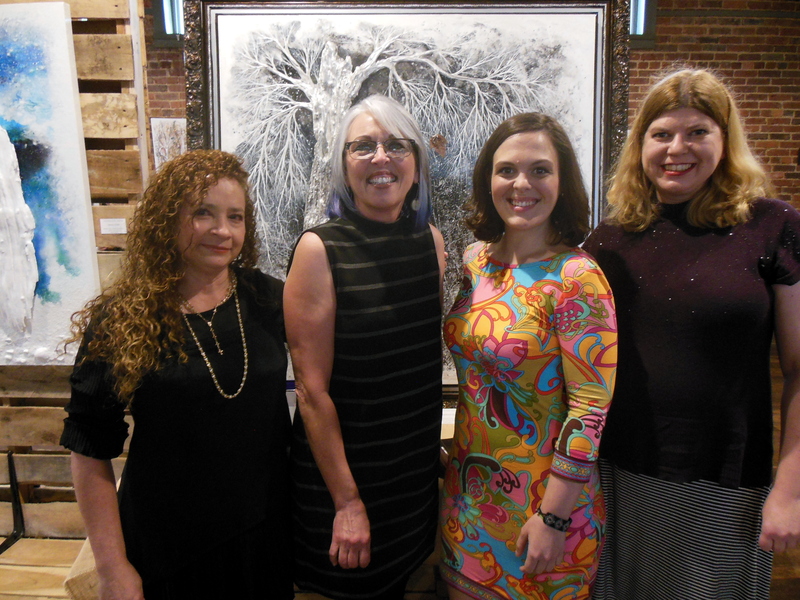 Gallery owner Linda Wilburn discovered a diversity of talent and also that three of the four featured artists use their art to cope with depression and debilitating mood swings. Dinett Hok is originally from the Republic of Panama. She lives with her husband in Newnan and raised her children there. Dinett lived in Florida for a while and uses driftwood in many of her three dimensional works. “Nature is the purest form of art” she says. She often adds interest and highlights by adding precious metals, such as gold, silver and copper. Dinett and her husband travel all over the world for international exhibits in the United States, Paris, Rome, Scotland, Venice, Beijing and Montreal, where she invites other international artists to participate in her exhibit space. 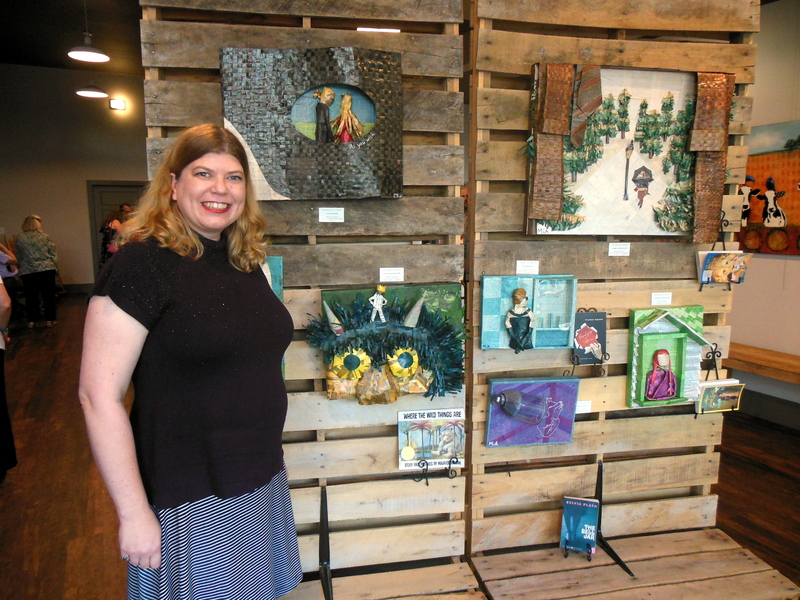 After discovering that art helped her deal with depression and loss, Kim Ramey opened Backstreet Community Arts in Newnan to share her art therapy with others. Her studio is open to all at no charge and she offers art lessons and free materials. Local artists volunteer their time at Backstreet to teach lessons. 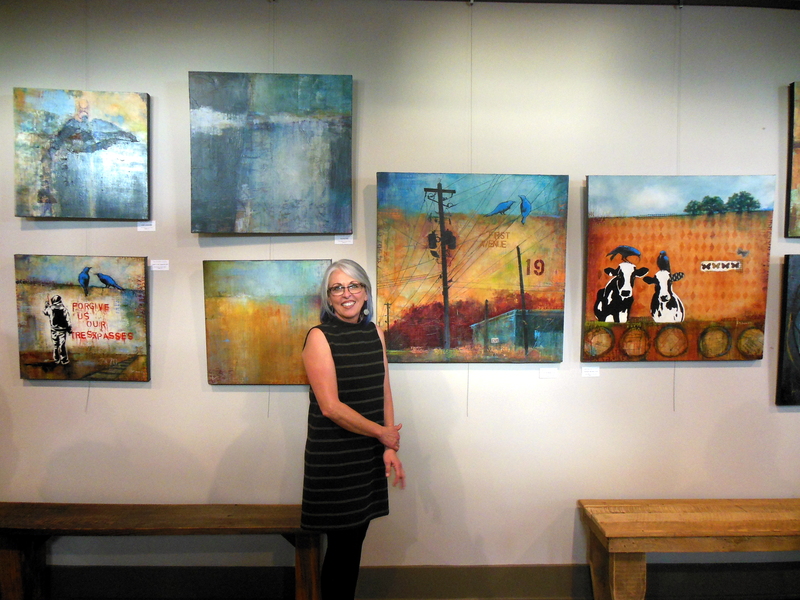 Kim believes that “Art Saves Lives.” Kim’s art ranges from subtle to bold, realistic to abstract to surrealistic, in very soothing earth tones, blues and reds. There are messages in all her pieces. Victoria Slagle is a native of LaGrange. She suffered depression silently until she went to college at Georgia Southern, where her art classes allowed her to share feelings with others. She discovered she was not alone in feeling that her brain might be operating differently from others. 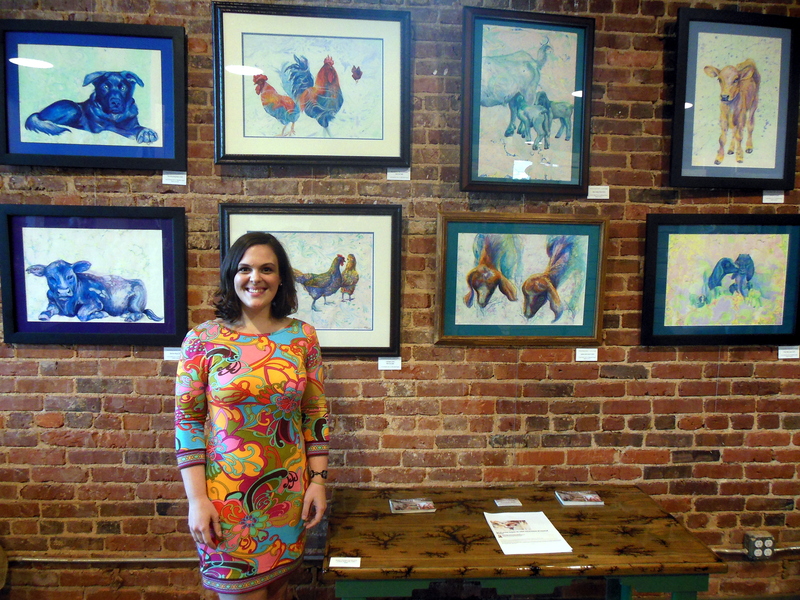 Her “Out of the Ordinary” display is called Marbled Farm and features cows, goats, chickens, roosters and dogs painted on marbled paper with mixtures of inks and paints. 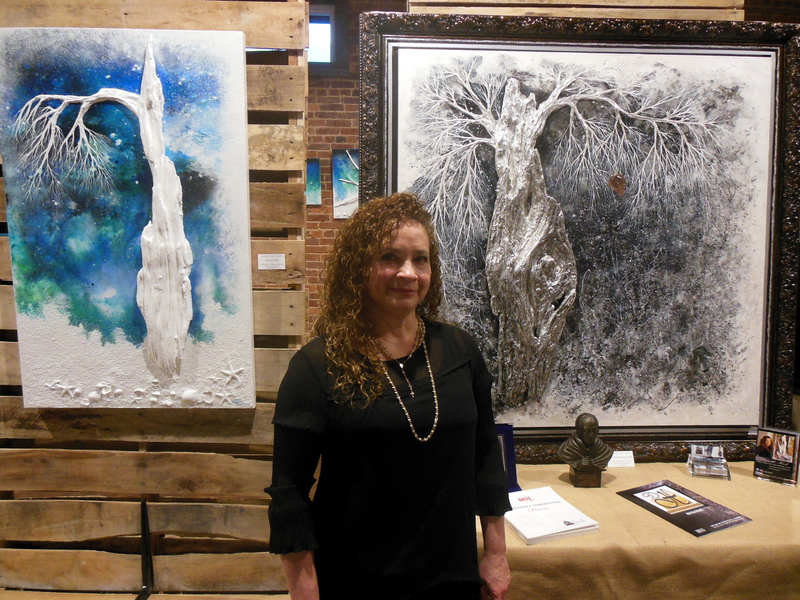 She will open another exhibit on Saturday March 3 at The Suffering Artist in Hogansville featuring all three dimensional works. Mia Broder is a native of Stockbridge. Her manic depressive (bi-polar) mood springs began in high school and continued through college until she spiraled out of control and into a mental institution for several months. Her struggle for control of her illness involved creating works of art and writing two books – Fireflies of Madness and My Cranky Bits, where she tells how she learned to accept and love herself. Mia’s delightful and fanciful display uses the actual pages of famous books to shape three dimensional images representing children and adult books such as Gone with the Wind, Chronicles of Narnia, The Princess Bride, Where the Wild Things Are, Breakfast at Tiffany and others.